So thermostats are boring, right? The one in your house is probably 20 years old and it still works fine. So why should you change up a perfectly good 1980s thermostat for a new smart thermostat? New Wi-Fi thermostats will do a lot more than simply adjust the temperature in your house when you turn the dial or press the buttons. 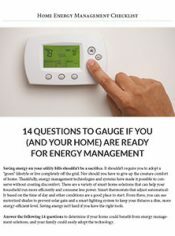 Wi-Fi thermostats allow you to monitor your energy usage, easily program daily schedules to save you money, and some can be part of an integrated smart home system working in tandem with security systems, automated lighting and more. The newest Carrier Thermostat is the Cor. Like other smart thermostat products, Cor Wi-Fi thermostats allow users to control the system from near or afar with a smart phone app—or you can just kick back and let the device do all of the work. It has a slick 3.5-inch color touchscreen, a built-in proximity sensor (so it knows when you’re home), and on-screen prompts. 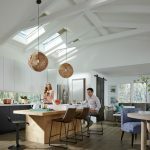 It even has features like a 4-day weather forecast, a Vacation mode, and smart setback, which can determine the optimal temperature for both comfort and energy savings. At the end of every month, Carrier Cor thermostat users can get an energy report with interactive energy-efficiency tips, as well as info on how you can modify your settings to save a little money. 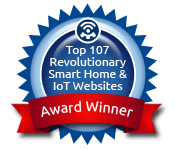 Of course, you can also keep tabs through the smart thermostat’s online web portal. $250. 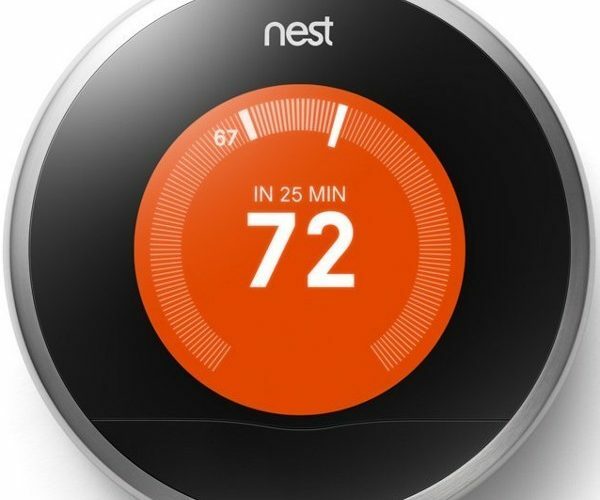 The Nest 2 is the second-generation Nest thermostat, and the most popular smart thermostat available. One of the main attractions is its look—the modern but simple design says high-tech without looking like it came from a Sci-Fi set. The next thing users love about the Nest is that it learns your heating and AC habits. You don’t have to program the Nest. Just use it like you normally would a thermostat (adjust it when you go to bed, when you leave the house…) and it will learn your habits. It also includes a motion detection sensor so it knows when no one is home. $250. Read a review of the Nest here. Round Honeywell thermostats are ubiquitous in homes across the country, and the new Lyric smart thermostat takes that classic design we’ve all seen, and updates it with a smart LED display and cool connectivity. The best trick this Wi-Fi thermostat does is geofencing. You set up a home zone (through your smart phone) and when you leave that zone the thermostat knows to switch to Away mode. When you return to that zone the thermostat kicks in again, so you never have to worry about setting the temperature yourself. $279. Aside from a great smartphone app and an easy-to-install design, the ecobee3 smart thermostat stands out because it works with remote room sensors. 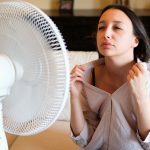 Most thermostats only read the temperature in one room, but that doesn’t always mesh well with the temperature in the rest of the house. The ecobee3’s remote room sensors make sure every part of your house is the perfect comfort level. $250. The Iris programmable thermostat isn’t nearly as cool-looking as the others here, but it’s got smart built in. This connected thermostat works with the Lowe’s Iris smart home system. You access the thermostat through the same app as the rest of the Iris system, and can set up rules to sync the thermostat with other features in the house, such as the lights and security system. For instance, when you activate a night mode, Iris can turn off the lights, turn on the security cameras, and adjust the temperature for sleeping. Lowes sells the Iris Wi-Fi thermostat for $99, but you need the whole Lowe’s Iris Smart Home system to get the most out of it. A starter kit with the thermostat is $179. Love my ecobee3 thermostat. I had a Nest in my previous home but I like the ecobee3 better because of the remote sensors. 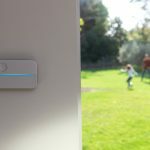 You should publish an article on services that connect to smart thermostats. I use ohmconnect.com to do my part during peak energy demand events. Check it out! My Wife thinks we have a perfetly good thermostat in our 5yr. old model home. I would like our heating system to be tied into our security system, sense what rooms are occupied, & call the Police or Fire depts., if necessarry. How can we reconcile this? Check out UltraSync self contained hub which is integrated with the Carrier COR thermostat. 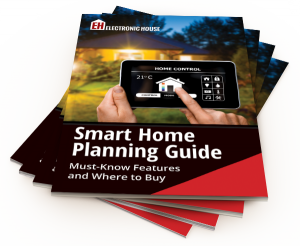 Truly an affordable smart home system that does it all. I have one and have added some cameras to the system so I can look at my property when I am away. There was no extra monthly charge for adding cameras. You need to find a dealer in your area to install. Do you know if the third generation Nest is worth the upgrade or not? Latest wifi technology with thermostats makes our life much smarter. Now, we can easily control our home thermostats with our smartphones and it also reduces cost. In my home, I am using ecobee 3 and It saves 23% energy and I can control it with both android and ios phone. Thanks to the wifi technology. My life is much easier now.